Welcome to Lake Mac City's community engagement hub. We're committed to working with you to understand your views, concerns, aspirations and knowledge, to guide our decision-making process. Our online community engagement hub, Shape Lake Mac provides you with the opportunity to offer genuine input into a broad range of projects, activities and decisions of Council. The hub also gives us an avenue to communicate decisions and activities. Please read through the document library and FAQs, and if you can't find what you’re looking for, then please contact us. Commercial and business development in Lake Macquarie will be levied differently under a draft Council contributions plan. The draft plan proposes that non-residential development be levied for new public amenities and services based on the value of their development. Head of Development and Planning Justin Day said most funds collected from the levy would be allocated for public amenities and services. “Under the current system, development is levied based on a calculation of ‘peak vehicle trips’ generated,” Mr Day said. “This can create anomalies where relatively small businesses that generate high volumes of traffic are levied disproportionately, compared to the value of their investment. The new system, known as the s.7.12 Contributions Plan, features a much simpler, flat fee structure based on the value of development. Business and commercial developments under $100,000 will be exempt from paying developer contributions, while those worth $100,000-$200,000 will pay only 0.5 per cent of the total development value. Development over $200,000 will contribute one per cent of the total development value. “Overall, the number of commercial and business developers levied will increase, but the amount each contributes will generally be significantly lower,” Mr Day said. The draft plan will be on public exhibition at shape.lakemac.com.au/712-contributions from 13 April-12 May. Aboriginal and Torres Strait Islander people in Lake Macquarie will gain better access to services and facilities across the City under a draft five year Council plan. The draft Aboriginal Community Plan 2019-2023 Bayikulinan (to act in the future), outlines six key focus areas and more than 50 actions highlighting the successes and challenges of Aboriginal people living and working in Lake Macquarie. Council Aboriginal Community Development Officer Maree Edwards said the plan was developed following extensive consultation with the community. “The draft Plan highlights some of the positive outcomes that have already taken place in our community, and provides actions to be carried out across Council to address some of the community’s ongoing needs,” Ms Edwards said. Ms Edwards said the draft plan aimed to improve Aboriginal people’s livelihood and cultural values, as well as enhance relationships between Council, community and service providers. “We want to build knowledge and understanding of, and respect for, Aboriginal culture and heritage, and improve issues still facing Aboriginal people today,” Ms Edwards said. Census data shows Aboriginal or Torres Strait Islanders account for 4.1 per cent of Lake Mac’s population – significantly higher than the national average of 2.8 per cent. The draft Plan is on public exhibition at all Lake Mac Libraries and at Council’s Administration Building at Speers Point until 30 April. Have your say at shape.lakemac.com.au/aboriginal-community-plan. Lake Macquarie City Council is inviting feedback from the community on its draft action plan to help the City grow its night-time economy. Mayor of Lake Macquarie, Councillor Kay Fraser, said a healthy night-time economy will improve the liveability of Lake Macquarie and help the City realise its potential as a major economic driver within the Hunter region. “To ensure Lake Macquarie City remains competitive and attracts new investment and residents to the area, Council needs to create and support a suitable environment for a night-time economy,” Cr Fraser said. In October last year, Council consulted with residents and local businesses to gather ideas and feedback about what activities, events and improvements they would like to see in Lake Macquarie City after dark. It was also an opportunity to identify any barriers preventing people from participating in the night-time economy. “From this consultation, we have developed a draft action plan, which sets the objectives, priorities and actions for Council to take over the next five years, to allow Lake Macquarie to become a vibrant and attractive night-time lifestyle and business destination in NSW,” Cr Fraser said. investigate the potential to extend opening hours for cultural venues and community facilities. 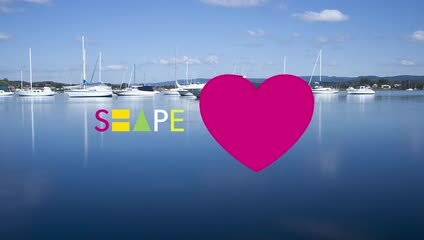 To share your feedback on the draft Lake Macquarie Night-time Economy Action Plan, visit shape.lakemac.com.au/latemac. Community consultation has begun on three new skate parks to be built in Lake Macquarie over the next 12 months. Lake Macquarie City Council Manager Community Planning Andrew Bryant said a total of more than $2 million would be spent on the new facilities flagged for Croudace Bay, Morisset and Windale. A unified “Skate Lake Mac” community consultation period covering all three sites begins today to seek input on each new skate park’s style and scale. “With the appropriate consultation, design and build, skate parks have fantastic potential to activate public spaces and generate significant community benefits,” Mr Bryant said. The Croudace Bay skate park will form part of a wider revamp of Thomas H Halton Park and will either replace or build upon an existing skate park on the site. In Morisset, a skate park will be part of an expanded Bernie Goodwin Memorial Park, adjoining a new all-inclusive playground and outdoor fitness area. Windale’s new skate park will be built in Bahloo Reserve on South Street to replace the former skate park adjacent to the suburb’s PCYC. Mr Bryant said the Windale facility would be twice the size of its predecessor. “We’re hoping to hear from the community about the style of skate park they want at each site,” Mr Bryant said. “That means a choice of street, park, plaza, pump or combination styles. Morisset and Croudace Bay will also have the option of a transition style skate park. Mr Bryant said undertaking combined community consultation for the three sites would ensure the best mix of facilities throughout the city. “Each site has its own benefits, features and limitations,” Mr Bryant said. People can have their say on each of the three skate parks until Friday 14 December at shape.lakemac.com.au/skate-lake-mac. The move to expand skate park options in Lake Macquarie follows the September opening of Council’s $1 million ChIP Bowl skate park in Charlestown, and completion of a skate bowl and street-style plaza at Pasterfield Sports Complex, Cameron Park, in August. West Wallsend was home to more than 6000 people and four booming coal mines at its peak in the early 1900s, giving rise to buildings and infrastructure that still stand today. Lake Macquarie City Council Integrated Planning Manager Wes Hain said consultation was underway on a West Wallsend Heritage Master Plan to reinforce and strengthen the suburb’s historic character, and to revitalise its retail and commercial precinct. “We want to make sure any revitalisation of West Wallsend is sympathetic to its important and fascinating history,” Mr Hain said. Local mining historian Ed Tonks said the opening of the first colliery in West Wallsend in 1888 triggered rapid growth in the area. Within 15 years, the suburb had become home to thousands of miners and their families, with shops, hotels and eventually a steam tramway to Newcastle springing up to cater for the fledgling community. Mr Tonks cited West Wallsend as a prime example of how coal mining drove the Hunter Region’s early expansion. While the steam tramway and many other features of the early township are long gone, important reminders of that era remain. They include the Museum Hotel, the former Northumberland Hotel building and a collection of cooperative store buildings in the heart of the retail precinct. Mr Hain said the master plan would include a streetscape plan and separate pedestrian access and mobility plan, both focusing on the suburb’s historic central township around Carrington and Withers Streets. “Recent residential and commercial development around West Wallsend have the potential to affect the viability and long-term conservation of the old commercial precinct,” Mr Hain said. The master plan will cover land owned or managed by Council, including footpaths, local roads and parks, but it won’t address development on privately owned land. “The next step is to hear from the community about what is most important to them,” Mr Hain said. Public consultation is open until 23 November and includes an online portal (shape.lakemac.com.au/west-wallsend) where people can nominate buildings or items of greatest heritage significance in West Wallsend, list local issues of importance to them and provide ideas on how the suburb’s heritage significance can be better acknowledged. A community workshop will be held at Holmesville Community Hall on Wednesday 7 November from 5.30pm-6.30pm to further identify historical issues in West Wallsend. Interested community members can register via shape.lakemac.com.au/west-wallsend. Maintaining a green canopy covering more than half of Lake Macquarie and diverting more than 75 per cent of household waste from landfill are among the 10-year targets proposed for a new draft Environmental Sustainability Strategy. Lake Macquarie City Council is seeking community input to develop the strategy – an update on the city’s existing Environmental Sustainability Action Plan. Acting Manager Sustainability Chris Harle said the time had come for an overhaul of the original ESAP, adopted in 2011 and reviewed in 2014. “Lake Macquarie is one of the most liveable and ecologically diverse local government areas in NSW,” Ms Harle said. “This review proposes the development of a plan that sets out our strategic directions, key themes and targets, and actions to deliver sustainable outcomes. In total, 25 targets are proposed, with a 2027 deadline for reaching them. Doubling the ratio of infill development to greenfield development, compared to a 2007 baseline. “These are all important targets towards which we must strive,” Ms Harle said. “But this strategy will also cover other aspects aimed at creating a more safe, attractive and inclusive city. Ms Harle urged the community to complete a survey and provide feedback on the draft strategy via shape.lakemac.com.au/ess. A short video outlining the plan is available here. Consultation closes Wednesday 31 October. How can I participate in Lake Mac engagement activities? Where can I find more information on public notices and exhibitions?